If you like your fuzz edgy and raw, you'll like this. 1960s-style fuzz tones revisited; useful sonic shaping options. The ToneBug Fuzz offers great sonic shaping. The ToneBug Fuzz riffs on classic 1960s fuzz sounds. With controls for fuzz, tone and output level, the ToneBug Fuzz offers variations on the classic fuzz sound, plus a signal boost (or cut) - if you should want one - when you kick it in. Old-school square wave clipping creates sounds from a mild distortion at the very minimum setting on the fuzz knob, through to full-on raspy fuzz at the other extreme. 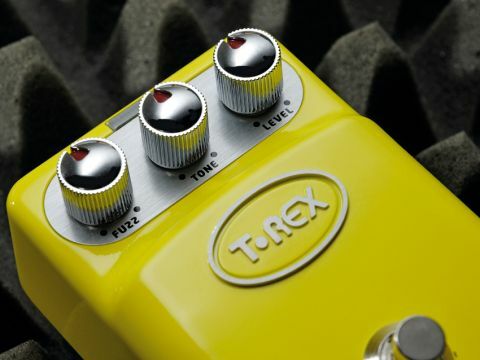 The tone control offers powerful shaping, from a crisp, trebly sheen with lots of the mid scooped out, through to a sound that gives more emphasis to a honking upper mid-range. Finding the right fuzz is a nightmare, as there are so many variations on the theme. But if you like your fuzz edgy and raw - not as soft as a Fuzz Face, not as barking mad as a Big Muff Pi - you'll like this.